Việt Nam has been named among the best places to travel according to the US-based National Geographic Magazine. The Hoàng Liên Sơn mountain range ranked 7th in this list, and was voted as the most exciting destination in Southeast Asia. 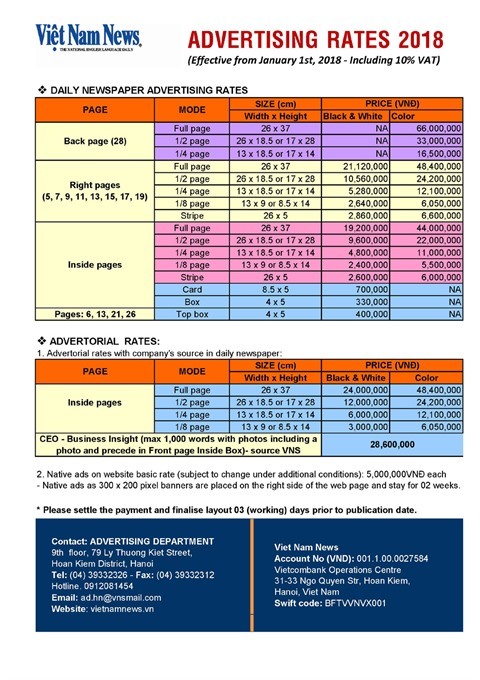 National Geographic is a prestigious American magazine with worldwide coverage of publications in 40 languages. Voted by travel editors and explorers of National Geographic, this well-known magazine has "revealed" the best 28 places across the world. 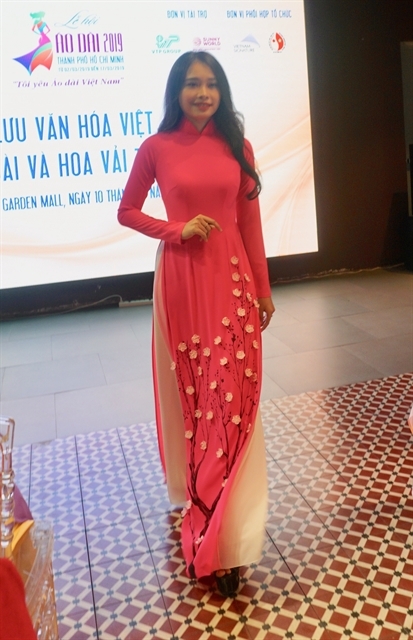 In particular, the image of Hoàng Liên Sơn in Sapa, Việt Nam, appeared impressive and attractive at the position of 7th out of 28. “The 28 best voyages and these experiences have inspired, transformed our vision, connecting us with cultures, destinations and ideas that affect the world," said George Stone, National Geographic’s editor-in-chief. 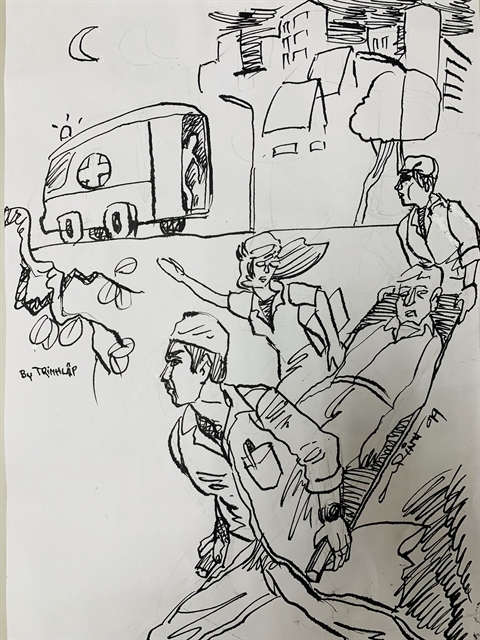 In the introduction to Hoàng Liên Sơn mountain range, the magazine says: "Thanks to the new cable car, more and more visitors have the opportunity to reach Fansipan summit with 3143m height. 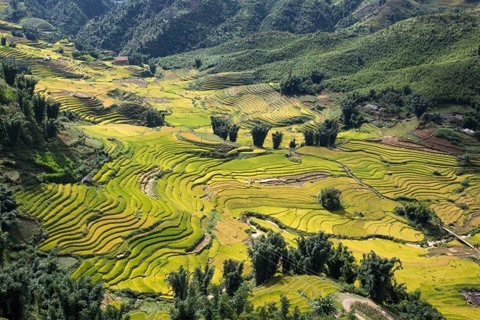 But this northwestern region (far from the crowded town of Sa Pa) still has the wild, idyllic, a different world apart from the noisy urban area Hà Nội, although it is only 313 km away from the capital city." To enjoy the original beauty of the world’s most attractive destination 2019 Hoàng Liên Sơn, Fansipan cable car is an interesting means of transportation. 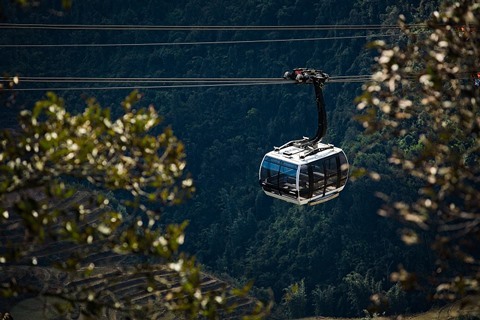 Fansipan cable car connects Mường Hoa valley to the top of Fansipan - the "Indochina Summit" in Việt Nam, to take visitors gliding between the valley of the rugged primitive forest, through clusters of white clouds, enjoy the majestic beauty of the Hoàng Liên Sơn mountain range. From the middle of the sky, through the glass frame of cable car, visitors are able to collect all the typical beauty of the Northwest features such as terraced fields in the rice season. If you do not take the cable car, trekking, exploring the mountains and the life of ethnic people in Sa Pa, are also a unique experience. 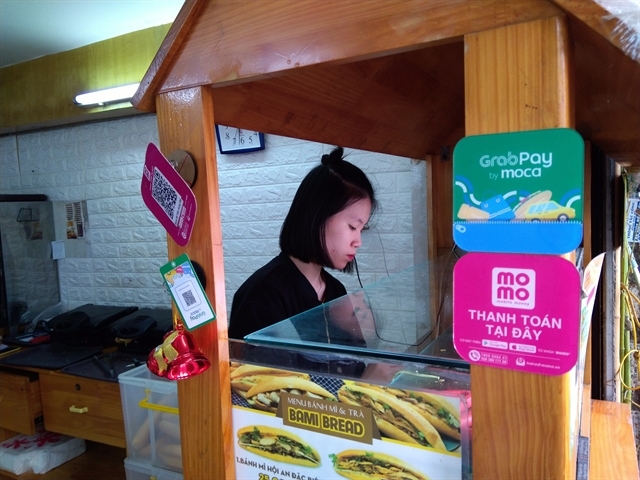 Hoàng Liên Sơn will also take any visitor to the cloudy city at the top of Fansipan. Here, a complex of architectural spirit majestic mountains are constructed in the middle of the mountainous range, hidden in the white clouds, in the sound of the bell rang echoes of each stone, bringing the feeling of natural and liberty. Visitors have the opportunity to worship A Di Đà Buddha statue - the highest bronze Buddha statue in Việt Nam with the height of 21.5m, is tiled from thousands of thin copper 5mm. 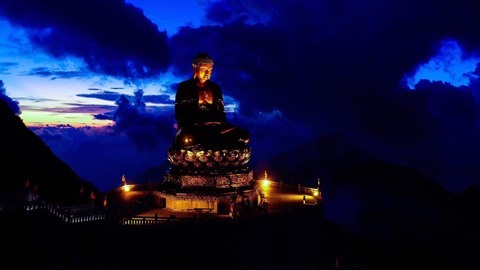 This is also the of the marvelous Buddha statue unprecedented in Việt Nam. 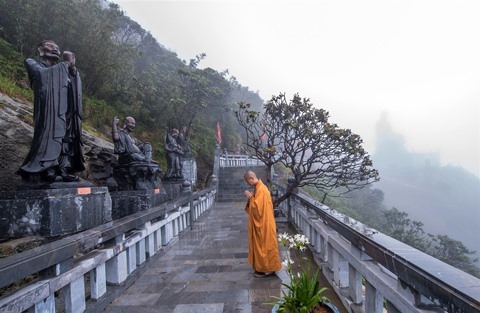 From here, visitors can cover the whole view of the Hoàng Liên range under the benevolent look of the Buddha statue. This cultural and spiritual architectural complex is also the site of the rare phenomenon of "luminescence", a mysterious and sacred spiritual phenomenon according to the Buddhist concept. 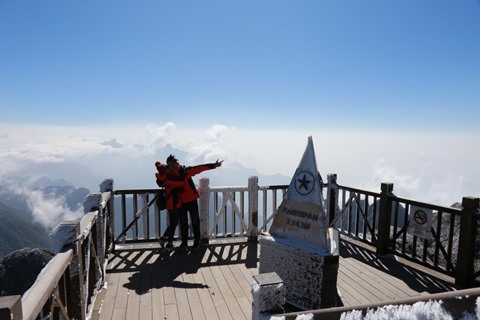 The highest point of Fansipan is the 3,143m tower - a milestone for the legendary "Indochina Summit". 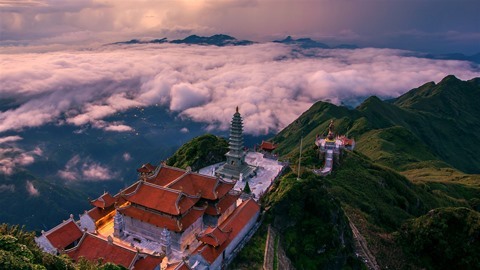 This is where tourists are immersed in the "beautiful clouds looks like a sea cloud" that National Geographic magazine described when talking about Hoàng Liên Sơn. 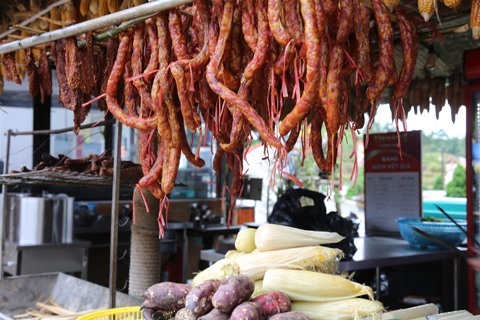 Along with the culinary discoveries in the villages, visitors can also enjoy the full flavor of the highlands with traditional dishes of the Northwest locality such as Sa Pa sausage, Bắc Hà noodle soup, smoked buffalo meat (trâu gác bếp), sticky rice … cooked by ethnic people in the highlands market area at Fansipan cable car station. During this time, a big event Winter Festival in Sa Pa is taking place, bringing guests experiences that, like the editor of travel by National Geographic describing, the journey is "directed towards the task of discovering, preserving, respecting and connecting with our planet." The cable car ticket is reduced to 50 per cent, for all visitors, from December 1 to 20. 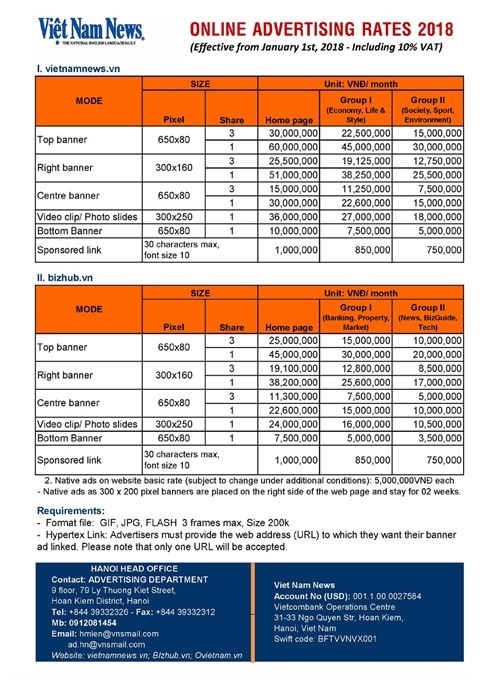 The opportunity to discover the most attractive destination in the world 2019 has never been so easy like that.